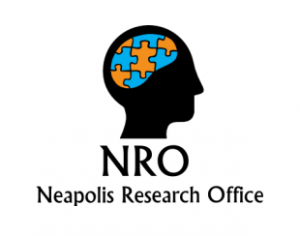 The Neapolis Research Office (NRO) was formed in 2010 in order to coordinate Neapoli’s University’s growing international exposure and involvement in various research activities. The office is staffed by a group of researchers, consultants, lawyers, financial managers and scientists that provide support and guidance to the researchers. Since its formation, the NRO’s team have worked hard, along with researchers and scientists in Cyprus and abroad on various research programs. Three of the programs are dealing with cutting edge technology in Civil Engineering, Chemistry and Microbiology, Environmental Management and Impact Assessment and Architecture. The NRO’s team is responsible for facilitating the faculty members, researchers and scientists in matters of legal, financial and project implementation management, by coordinating all aspects that are relevant to a project from the day of commencement until the finalization of the project. They provide guidance, support and advice to faculty members, researchers and scientists. Members of the NRO have personally appeared in project meetings in various cities of Europe, representing Neapolis University in Cyprus and the NRO itself. Due to the expansion of the research activities of Neapolis University, the persons managing NRO, work closely with the Research Promotion Foundation, the European Office of Cyprus, Pafos2017, INTERREG, Creative Europe and Med INTERREG.